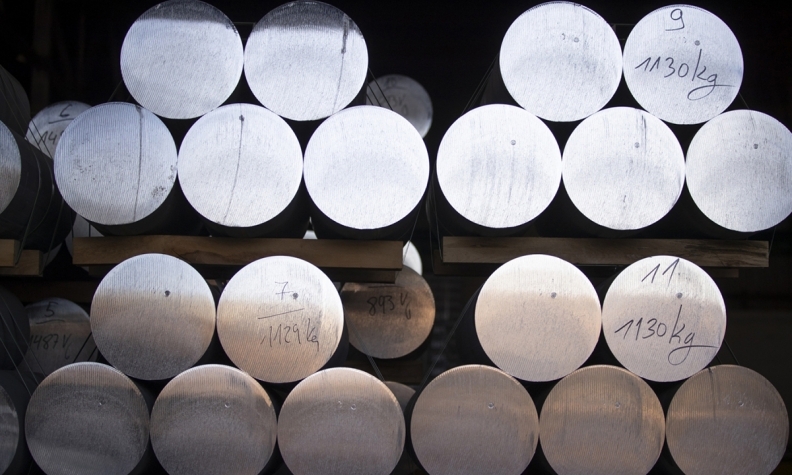 When the metal tariffs were announced in March, Trump administration officials suggested that an exemption might be available for Canada and Mexico if they moved toward a deal to update the North American Free Trade Agreement. TORONTO — The new North American trade pact may have patched up one open trade wound, but for Canadian auto businesses, tariffs on steel and aluminum remain a festering sore. When the metal tariffs were announced in March, Trump administration officials suggested that an exemption might be available for Canada and Mexico if they moved toward a deal to update the North American Free Trade Agreement, creating linkage between the two issues. But no deal was reached then, and when the tariffs took effect in May, no exemption was made. And now, even after the countries agreed to terms on the new U.S.-Mexico-Canada Agreement, the 25 per cent tariff on imported steel and the 10 per cent tariff on aluminum remain in place. Canada's retaliatory tariffs on U.S. steel, aluminum and other products also remain. Nantais: Costs hit all countries. Mark Nantais, president of the Canadian Vehicle Manufacturers' Association, said the tariffs would continue raising costs for automakers if left unaddressed. The association represents the Canadian operations of the Detroit 3, which combine to run five assembly plants in the country. "Those tariffs continue to be a problem, in the sense of raising costs for companies in all three countries, including the United States," Nantais said. "We hope it will be resolved." Canadian businesses were nonetheless relieved last week that their negotiators were able to reach an agreement with the U.S. to bring Canada back into the pact. A cloud of uncertainty has lingered over the Canadian auto industry for much of the past year as the three countries renegotiated NAFTA and tariffs took hold. As the talks dragged on past various putative deadlines, tensions continually flared between U.S. and Canadian negotiating teams, especially over U.S. proposals to impose a sunset clause and seek a U.S.-only content requirement for autos to cross borders duty-free. The USMCA eased worries about a broader trade war that likely would have proved catastrophic for Canadian auto manufacturing and the new-vehicle market. Still, the tariffs remain a concern across the industry. Several Canadian auto dealers postponed multimillion-dollar construction and renovation projects in the wake of the tariffs and the turbulent trade negotiations. One of those dealers is Bob Verwey, president of Owasco Inc., which owns Volkswagen, Audi and recreational vehicle stores in Clarington, Ontario, about 50 miles east of Toronto. 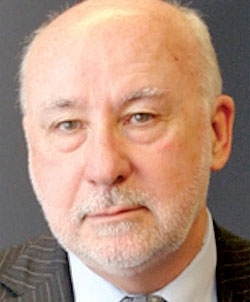 Verwey, former head of the Trillium Automobile Dealers Association in Ontario, said the company bought a 41-acre plot of land with the idea of building two dealerships on it, but those plans are on hold due in large part to the tariffs. "Talking to the builders, they are telling us that the prices of steel and aluminum are fluctuating so much that it's impossible to price a job," he said. Canada's top suppliers are expected to take significant financial blows, too. Magna International Inc., the largest Canada-based supplier and the third-largest globally by sales to automakers, expected its second-half earnings to take a $30 million hit due to the tariffs. Linda Hasenfratz, CEO of Linamar Corp., the second-largest Canadian supplier, said on an August conference call with investors that the company is dealing with higher metal costs because of "opportunistic" American companies charging more for steel. "American companies, they know that their competition has 25 per cent higher" prices, Hasenfratz was quoted by Reuters as saying. "They're the only game in town. They're jacking prices up." Martinrea's Wildeboer: Tariffs will continue to undermine free trade. 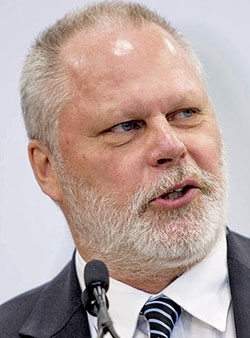 Rob Wildeboer, chairman of Martinrea International Inc., said that while the USMCA should "remove the cloud" hanging over the automotive industry, free trade in North America is undermined if tariffs remain in place. "The fact is that steel and aluminum tariffs do have an effect on the bottom lines of the OEMs," he said. "Either they absorb it, or they pass it on to consumers, or they beat up on suppliers." Wildeboer said he is hopeful the tariffs will eventually be lifted. He said Trump's comment at a news conference last week that the U.S. would keep the tariffs "until such time as we can do something that would be different like quotas" could be taken as a sign that a resolution is possible. "It's legitimate for the U.S. to say, 'I want some steel capacity in the United States, and I want some aluminum capacity in the United States,' " Wildeboer said. "But I think they can have that without tariffs."